Children’s Activity Atlas by Jenny Slater, illustrated by Katrin Wiehle and Martin Sanders from Sterling Children’s Books, is chock full of information about landscapes, national flags, and industry. This volume focuses mainly on the large continents, and each region is depicted over a two-page spread, complete with mountains, lakes, rivers, and topography like desert and grasslands, etc. The book comes with a passport that kids can use to answer questions about specific items on the regional maps using the map key and once those questions are completed, the kids can place their seal on the passport page. Each page is colorfully illustrated, includes local industry and culture on each nation, as well as a key to the land and other facts about those nations. The back pages have stickers for the individual flags of each nation, which kids can add to each map and stickers for a variety of industries, animals, and local sites. My daughter and I have started doing a region every few days and placing the stickers and answering the questions, but we’re also talking about what I learned about those nations and where I’d like to visit someday. She points to things that interest her on the map and we make sure that we fill out the passport together where the questions are and affix her seal when she’s done. Rather than be a one-time use atlas, this book contains information that can be referred to again and again, and there are postcards included for kids to share with family and friends. Children’s Activity Atlas by Jenny Slater, illustrated by Katrin Wiehle and Martin Sanders from Sterling Children’s Books, is an interactive look at other countries and regions that kids and parents can use together to discuss different cultures, topography, and industries, etc. My daughter gets excited when I ask if she wants to bring out the atlas and check out some other countries and regions. I would recommend this for parents with toddlers eager to learn and interact, as well as older kids who are in school. 68th book for 2014 New Author Reading Challenge. 1. 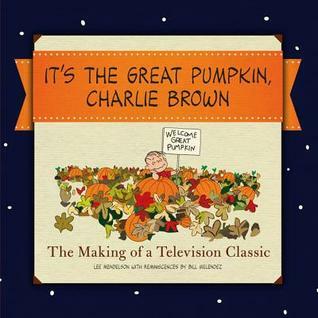 It’s the Great Pumpkin, Charlie Brown: The Making of a Television Classic by Charles M. Schulz and Lee Mendelson for review from Harper’s Dey Street Books. Now available in a hardcover edition, the lushly illustrated It’s the Great Pumpkin, Charlie Brown: The Making of a Tradition, stars Charles M. Schulz’s beloved Peanuts gang, and features hundreds of full-color images as well as enlightening anecdotes that take you behind-the-scenes of how the charming Halloween special was created. Trick-or-treating has never been more fun—with Charlie Brown, Snoopy, Lucy, Sally, Schroeder, Linus, and, of course, the Great Pumpkin. Since its first airing more than forty years ago, It’s the Great Pumpkin, Charlie Brown has become a beloved perennial classic synonymous with Halloween. Illustrated with more than 250 full-color images. 2. 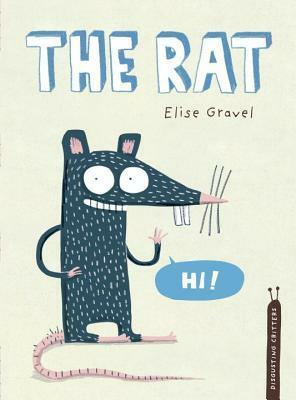 The Rat (Disgusting Creatures) by Elise Gravel for review from Tundra Books. One in a series of humorous books about disgusting creatures, The Rat is a look at the black rat. It covers such topics as the rat’s long, agile tail (it’s good for balancing and picking noses), long teeth (they can chew through anything, including books) and disgusting taste in food (delicious electrical wires in tomato sauce, anyone?). Although silly and off-the-wall, The Rat contains real information that will tie in with curriculum. 3. 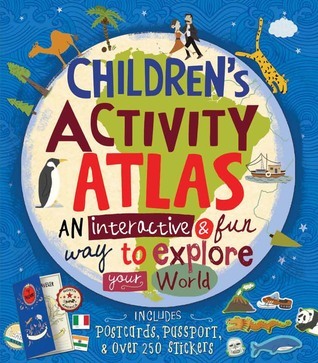 Children’s Activity Atlas by Jenny Slater and illustrated by Katrin Wiehle and Martin Sanders for review from Sterling Children’s Publishing. Young explorers: grab your ticket to a world of fun! Featuring 12 fully illustrated maps, this atlas is jam-packed with information about the different continents and each region’s wildlife, food, architecture, and culture. The journey continues with more than 250 reusable stickers, eight perforated postcards, and a pocket-size passport with quizzes and cool facts. Curious kids will dream about their adventures to come. 4. 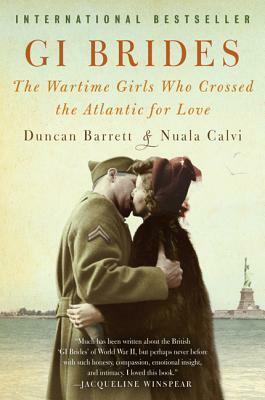 GI Brides: The Wartime Girls Who Crossed the Atlantic for Love by Duncan Barrett and Nuala Calvi for TLC Book Tours in September.